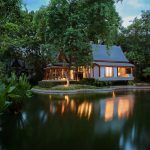 Internationally renowned wellness destination Chiva-Som has reopened after a 6-month closure to complete the third of four stages of the resort’s first major renovation since its inauguration 23 years ago. Further enhancing the Chiva-Som offering, which has already seen all of its Ocean Rooms and many of its facilities transformed, today sees additions to the wellness experience with a new specialist golf retreat. The addition of a glass wall in the Emerald Roomhas created a fresh, contemporary and relaxing space, flooded with natural light, where guests can enjoy breakfast, lunch and dinner. 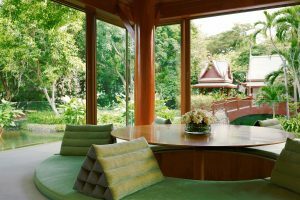 To celebrate the brand new Emerald Room design, Chiva-Som is delighted to welcome their first guest chef, Keisuke Matsushima who will be visiting the resort for a second time, this time the award-winning chef will be in residence serving up his renowned French- Japanese fusion dishes with a wellness twist. In addition, guests have the opportunity to cook with the Chevalier of the L’Ordre des Arts et des Lettres and L’Ordre du Merite Agricole awarded Chef and learn his techniques in an exclusive cooking class available only for in-house guests of Chiva-Som. Chef Matsushima’s residency is from 8th to 11th December. Reservations are available to book throughout 1 November 2018 – 30 April 2019.